We live in a day when good sound reasoning has taken a permanent sabbatical to the land of PC fantasy. MSM, Democrats, and liberals and well over half of academia’s darlings have chosen to abide where truth never darkens the door. 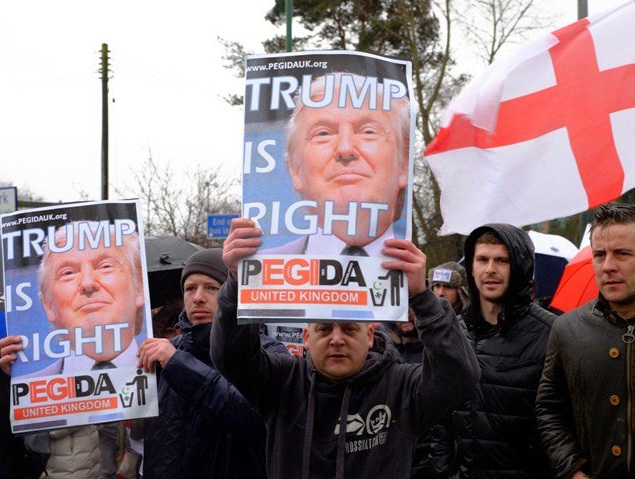 This condition is best illustrated by President Trump’s recent retweet of videos posted by a British nationalist who stands against the Islamisation of the United Kingdom, which clearly show Muslims in acts of serious violent crimes. One video shows Muslims beating up a crippled Dutch boy who needed crutches to walk. Another video captures a Muslim smashing a religious icon held in high regard by the Catholics. A far more heinous hate crime is in a third video in which Muslims throws a teenager off a roof and then beat him to death. In a perfect example of PC-driven denial came the reply from our staunchest European ally, according to the Washington Times article. Did the cameras lie, did the President “stoke tensions” or did the Muslims get caught red handed in violent acts of hatred? Since brutal beatings and death do most certainly cause anxiety among law abiding people, what is the best way to keep that from re-occurring? According to Theresa May it would be to sit down and shut up! Denials, puffy, loose, and inaccurate statistics are made regularly on MSM news, like CNN, Huff-Po, and the CATO Institute which all seem to think that we must compare the few who die at the hands of Muslims with the entire population of any particular nation. Since that number is a small percentage of the entire population it seems citizens should just thank their lucky stars. Statistics are cold hard numbers and do not account for the families and communities that are directly affected by acts of terror. The figure would jump exponentially if these people were taken in to account. But if we insist on using statistics – let’s try a great deal more honesty. The most powerful statistics come from Europe. The EU is a preview in real time of what can happen in America. What goes on in Europe is also the best way to comprehend what President Trump is trying to avoid with his travel ban and immigration policies. Chancellor Angela Merkel’s migrant-battered Germany has the most violence from her un-assimilated immigrants. Statistics from that EU nation are in a class by themselves all courtesy of Merkel’s “open doors” policy. German police have suffered 100 attacks on officers per day between 2016 and 2017, in all 16 of Germany’s federal states. The grand total reported by the Bundeskriminalamt, BKA is a whopping 36,755 attacks on police. Muslim gangs often outnumber local police and judges are giving lenient sentences in fear of reprisals against their families. Violence against law enforcement personnel is up 70% in 2017. It almost seems that Germans must be fostering a secret desire to be oppressed or to come under the sway of some sort of collective Stockholm syndrome - if it’s not Hitler, just anyone will do. In Sweden on average 22 cars a day are set on fire by immigrants and a total of 6,000 have been burnt in 2017. Police work is so dangerous that many career officers are seeking other employment. One Swedish policewoman saw a picture of her family published with accompanying threats to murder her and her entire family. Many officers are checking for bombs under their cars each day before going to work. Although France’s Emmanuel Macron promised he would rule like a Roman god, the immigrants in France have rocked that nation with so many violent attacks that Macron is more like a junkyard dog tethered on a short leash. His bark is nothing to worry about because no one is feeling his bite. Since 2012 more people have been killed in France by Islamic terrorism than all other EU countries combined. The French are aware that Muslims think it is their sacred right to kill infidels - the laxity with which they approach this problem makes it seem that they have a sacred duty to be victims. Pew Research has declared that there is a growing negativity about Muslim immigrants in eastern and southern Europe, but only one country seems to be taking strong measures to curb the onslaught of violence and the drain on resources, which is Norway. Norway’s immigration minister, Sylvi Listhaug, has stated that she doesn’t care what her critics say. She has warned, “If you are an economic migrant or an illegal immigrant, you’ll be sent home.” Norway will now issue vouchers instead of cash for immigrants who are playing the system. Almost 30 attacks against Americans have been carried out by Muslims, though not all came from countries Trump listed in his ban. It doesn’t matter which country they come from if they all come from the same ideological stream of thought. Mr. Trump is in the position of protecting America from its enemies. It is his job, and after a brief viewing of what is happening in the EU, we can be thankful that he seems to be taking his job seriously. But in post-Christian Europe not much attention is given to the Word of God anymore. As a result the tables have turned in a most perverted fashion. Now it is the stranger in the land who is oppressing the nations to which they have fled for asylum.